Bruce is a Chartered Accountant, sustainable business consultant and writer. He has worked professionally in Canada, Uganda, UK and several other countries, and as a volunteer in the Solomon Islands (2 years as a government adviser with VSA NZ). He has worked in leading roles with several NZ conservation organisations and was Chair of Whenua Iti outdoor pursuits centre for 16 years. Bruce was attracted to the In Time Trust by its clear focus on human needs and the direct, effective support it provides to a vulnerable area. Kay is a registered nurse. She has worked in both hospital and community care. Her community involvement has included committee roles in Plunket, Supporting Families in Mental Illness and in schools. Kay is now retired and living on the family farm in Nelson. Her family all have a love for the mountains and a keenness to assist in educating the children at KBS Jumla. Their vision is that education will help further develop the students as individuals as well as assist in developing the area in which they live. Tessa has a degree in Theology and Religion, and a postgraduate diploma in International Development. She has worked as a youth leader, has organised fundraising events for recent crises in Africa and Syria, and has won an Australia/NZ prize in Mahayana Buddhism. Tessa is currently employed part time by another organisation providing aid and education in Asian and Himalayan communities. She is motivated by a concern for poverty and the injustices affecting millions of people worldwide. Brittany has an MBA in Global Management. She has worked with the Trust as a volunteer in various roles since 2014, and previously worked with refugee resettlement in Nelson. She now manages a boutique luxury villa with her husband, based on their family farm beside Abel Tasman National Park, where they live with their two young daughters. 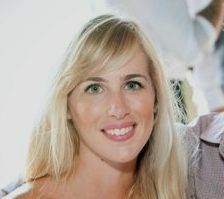 Brittany has extensive overseas experience, including in the Tibetan and Nepali Himalaya. She is passionate about education as a means to unlock the potential in every child, and the Trust’s mission to help children in Nepal to do this. Pat joined the Trust as Trustee and Treasurer in 2017. He is a retired Chartered Accountant and Corporate Executive. He has considerable international experience having lived and worked in New Zealand, Australia, Hong Kong, India and Vietnam. In Australia he was CEO and Board member of two financial service sector companies, and in Hong Kong was CEO of a major insurance joint venture company. He has also undertaken assignments in Samoa and Fiji, and in retirement has contributed as a volunteer with Habitat for Humanity and St. Vincent de Paul in Melbourne, and Citizens Advice Bureau in Queenstown.